We do not document a person. We document assertions that we make. As credible researchers, we are expected to document every assertion we make that is not “public knowledge.” So what is “public knowledge”? That’s any basic "fact" we could look up in any encyclopedia and find the same exact "fact." Example: If we say the American Civil War lasted from 1861 to 1865, that’s common knowledge. If we say that Josephus Whipperdoodle served in the Augustin Guards during the Civil War, that’s not public knowledge and needs documentation. The verb to document does not mean to attach to a person’s profile a document that carries that person’s name. Many people share the same name. How do you prove that the document you’ve found actually deals with your person? that this document might be related to the person we are researching and that we are neither claiming it nor eliminating it until its relevance is proved or disproved. If we conclude that a document is unrelated, would we include the document in our person's file or attach it to an online bio? We might do the former, but not the latter. If, say, other researchers have published accounts about a person and mistakenly attributed this record to him, then our narrative about the person should address the erroneous claim and explain how the claim errs. If that discussion would break the rhythm of our narrative, then the discussion could be relegated to a footnote. In either case, a statement about the problem and a simple citation to that “wrong” record, along with a citation to a published example in which the mistake appears, is usually all that’s needed. In any situation, for us to simply attach a document to a person's profile, without any discussion, is to send that document out into the world, naked of all identification or explanation that is needed to make a decent claim. The verb to document does not mean that we attach the name of some source that is itself undocumented. Saying that we found evidence in a “GEDCOM file” or “a document in Archives Nationales” is not documentation. It’s not evidence. It’s a worthless attempt to make it look like we know what we’re talking about. The verb to document does not mean cite something. If the something we used is garbage, citing it proves nothing. With everything we find: We. Have. To. Think. We don’t just mindlessly copy. We don’t say, “Well, this document is from the same general time and place, so it could be him. That’s not documentation. That’s not research. That’s promiscuous gathering. As researchers, whatever we find, we should remember mushrooms. We can find them on any trek into the woods. Some are delicious and nutritious. Others are poison. Before we pop a stray one in our mouth, it's wise to think carefully about what we’ve found. 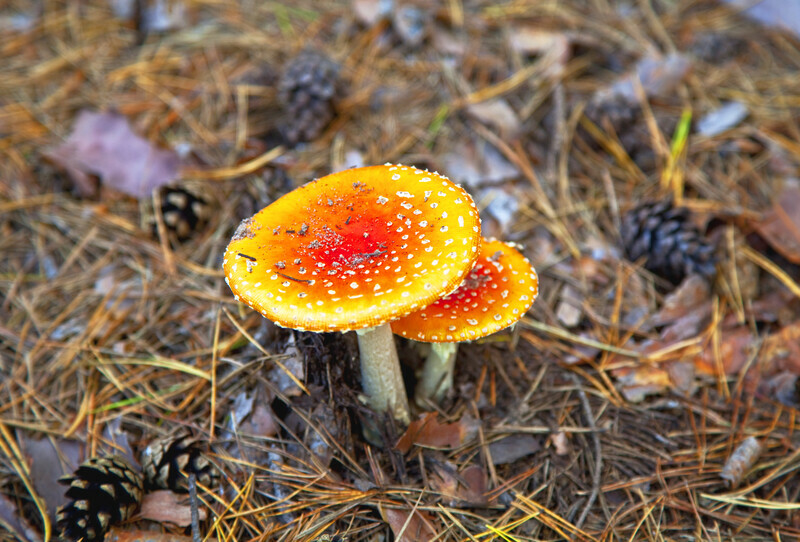 “Amannita poisonous mushroom in coniferous pine forest,” CanStockPhoto (https://www.canstockphoto.com/amanita-poisonous-mushroom-in-coniferous-10884810.html : accessed 19 March 2019), csp10884810 uploaded by Oledjio, 17 September 2012; used under license. Elizabeth Shown Mills, “Four Myths about Documentation (and an Ode to Mushrooms),” QuickTips: The Blog @ Evidence Explained (https://www.evidenceexplained.com/quicktips/four-myths-about-documentation : posted 19 March 2019).